Nokia faces a long, hard campaign to become a contender in a smartphone market dominated by the iPhone and Android-driven devices. That would have been CEO Stephen Elop’s mission when he took over in 2010—rescue Nokia from irrelevance. One phone isn’t going to change market dynamics overnight, but Nokia is leaving little to chance in drawing global attention to the device. And the Windows OS with its big-tiled home screen ensures that it looks different from the rest of the field. 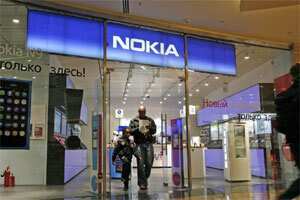 Both Nokia and Microsoft suffered grievously as Apple and Google walked away with the smartphone market. Whether that will change depends on the performance of the new phone.